Israel’s most famous motorcyclist brought the torch for the “Jewish Olympics” to Berlin from Tel Aviv. The flame is burning calmly, the box is secure. Elen Katz can’t take any chances – it is unthinkable what would happen if the airstream or rain were to put out the flame – the flame that was to light the torch of the 2015 European Maccabi Games, the largest Jewish sporting event in Europe, on 28 July in Berlin. Israel’s best-known biker had been on the road since 7 July, leading a convoy of eleven motorbike enthusiasts. They are taking an overland route from Greece through Bulgaria, Romania, Serbia, Hungary, the Czech Republic, Poland and Austria to Berlin. 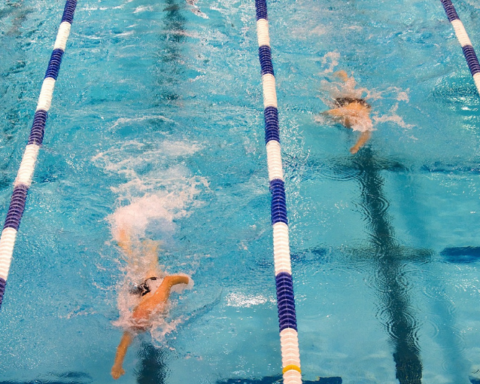 There, 2,300 athletes from 36 countries competed in 19 disciplines from 28 July until 5 August. 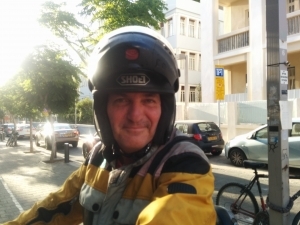 “I am Israel’s most experienced biker,” says Katz calmly and confidently a few days before leaving in a café in Tel Aviv. He speaks fluent German – his father was from Vienna. On the table he draws a globe with his giant hands. He’s been here and here and here – in 56 countries with the “Voo-do” alone, his current bike, the one with the zebra stripes. Simon Peres supported him with a personal letter that he had to show at various borders. Since then, Katz has the photo with Peres on the motorcycle saved on his phone. Yet his experience as a motorcyclist is just one reason why he is riding in the official convoy. The second is his family history, which is closely linked to the history of the Maccabiah Games, the international Jewish sporting event held for the first time in 1932. Katz only learned of this family history recently. A filmmaker, Catherine Lurie, gave him the idea to go to the Maccabi Museum in Ramat Gan. He had a vague memory of his grandfather once having travelled from Warsaw to Palestine and having had something to do with the Maccabiah Games. He wasn’t able to ask his mother or father; they had died young. And indeed, in the early 1930s eleven Jewish bikers rode across Europe to raise awareness of the Maccabi Games under British mandate in Palestine, to get athletes involved and – even if unofficially – to encourage people to emigrate. In the Maccabi Museum Katz saw an old black-and-white photo in which the man on the right of the front row looked familiar. His name was Nathan Blumenthal. “I thought to myself, I’ve seen him before,” recalls Katz. He went home and found the same face in his mother’s family photo album. And his mother’s maiden name: Aviva Blumenthal. The next day Katz returned to the museum. 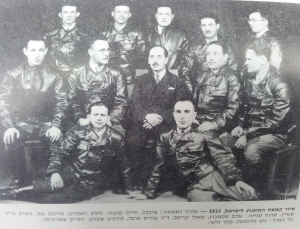 Over 80 years ago, Nathan Blumenthal was one of the legendary eleven bikers on the Maccabiah Games promotion tour across Europe. “I inherited my grandfather’s DNA,” says Katz and beams. Then he switches back to biker mode: “When you consider that they rode untarmacked roads under difficult conditions, you have much more respect for what they did.” Now he has a photo of his grandfather in the same mobile phone album as the one with Simon Peres. Katz was taking the same route with the official convoy that his grandfather took. He was riding with bikers all of whom have a long story to tell. There are grandchildren of Holocaust survivors, and one Australian’s family participated in the Warsaw Uprising. The oldest biker, a 78-year-old Pole, passed the spot where his mother threw him from the train on the way to the concentration camp. Elen Katz was not planning to ride back, but to return to Israel with his “Voo-do” by air. Yet flying is no minor thing for him, after surviving a plane crash over South Africa 12 years ago. 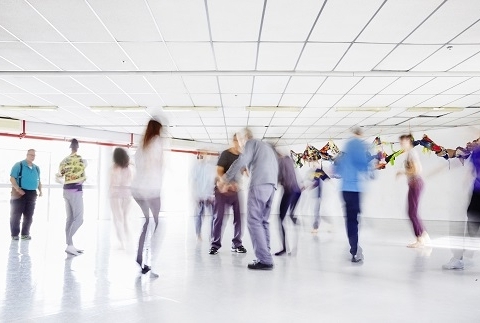 That is another story he enjoys telling: “Lying on the shore, I thought: I am 40 and have survived this, now it’s time for family.” At the next party he saw a beautiful, tall woman. “I went up to her and said: Hey, we are both tall, why aren’t we a couple?” Now they are a couple, and have two sons. And maybe later they too will take an interest in motorbikes and the Maccabiah Games. In any case, they will know where their DNA comes from.